Aaron Cole January 14, 2019 Comment Now! The assimilation of the N performance sub-brand into the Hyundai borg didn't take long. 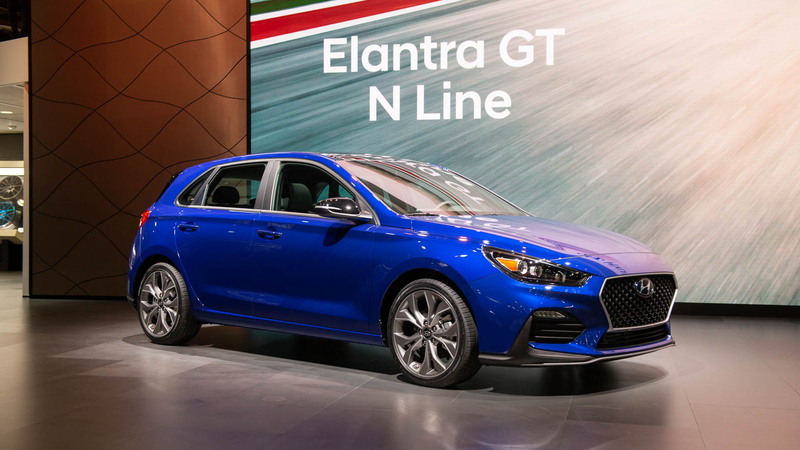 On Monday, the automaker introduced the 2019 Hyundai Elantra GT N Line at the 2019 North American International Auto Show in Detroit. The Elantra GT N Line is a rebadged Elantra GT Sport from last year that marks the first N Line entry into the U.S. 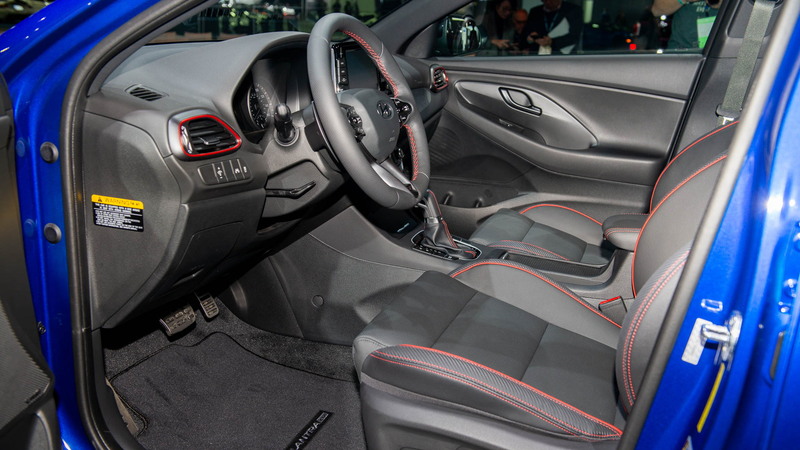 Although it shares the "N" badges with the Veloster N and i30 N (the latter not available in the U.S.), the Elantra GT N Line is mostly an appearance package without significant hardware upgrades such as a new engine. It is on sale now and costs $24,185, including destination for a 6-speed manual version. 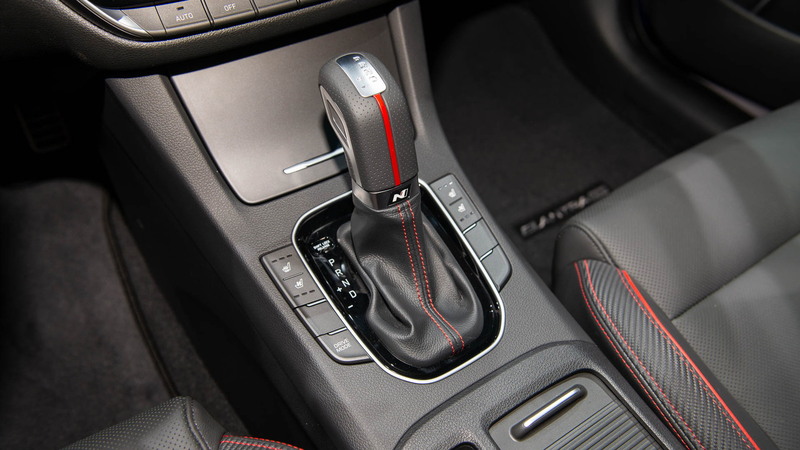 Opting for the 7-speed automatic costs $1,100 more. The N Line product strategy is mostly similar to Audi's S Line, which begins with appearance packages on most cars (A5 S Line), rising through to fully fledged S models (S5) with more power, and capping at Audi Sport (RS 5) halo versions with more power and performance. A customer motorsports program sits on top and provides track-ready credibility downstream. For now, Hyundai has detailed the N Line (Elantra GT N Line), the N range (Veloster N), but the big unknown is the halo car: Hyundai even diagrams the chart, similar to Audi, but has left the "Halo Car: Brand Shaper" entry blank for now. The very top, the customer motorsports program, came into view Monday however. Hyundai announced it would race a prepped Veloster N TCR in the 2019 IMSA Michelin Pilot Challenge. Hyundai team drivers Michael Lewis and Mark Wilkins will pilot one Veloster N and newcomers Mason Filippi and Harry Gottsacker will race Hyundai's other entry. The 10-round IMSA Michelin Pilot Challenge kicks off Jan. 25 at Daytona and concludes Oct. 11 at Road Atlanta. Hyundai is making available the Veloster N TCR race car to customer racing programs for roughly $155,000 starting in March. The Veloster N TCR race car will primarily be sold in markets where the i30 N isn't available. 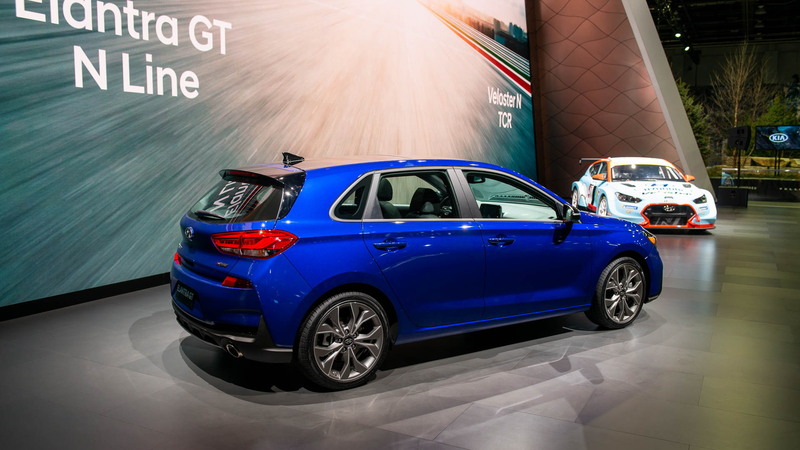 Hyundai also sells the i30 N TCR race car to customer race teams. For more from the 2019 Detroit auto show, head over to our dedicated hub.